Pumps are essential to the Electronics & Semiconductor industry. At the heart of this sector is the use of both high-purity and aggressive liquids and chemicals, which require pumps for general transfer and to utilize them in specific applications. Pumps also provide the necessary flow through sophisticated filtration equipment, without which the quality of semiconductor chips and other electronic components required world-wide cannot be achieved. 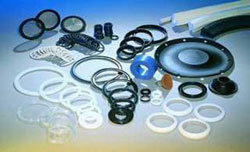 More information on pump products for the Electronics & Semiconductor industry can be found here. Known in the industry as CDA, compressed clean dry air is used throughout the manufacturing process. Oil-free compressed air dried to a pressure dew point of -100 degree F is often used to replace nitrogen for curing, cooling and conveying product. More information on air products for the Electronics & Semiconductor industry can be found here. 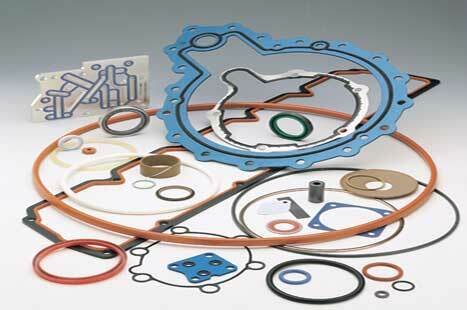 We offer a broad range of performance materials to meet your design challenges. Our sales engineers will help you evaluate material options to meet your budget considerations without sacrificing quality. From materials selection, to design services and fabrication, we have more than 45 years of experience delivering unparalleled expertise. More information on sealing solutions for the Electronics & Semiconductor industry can be found here.